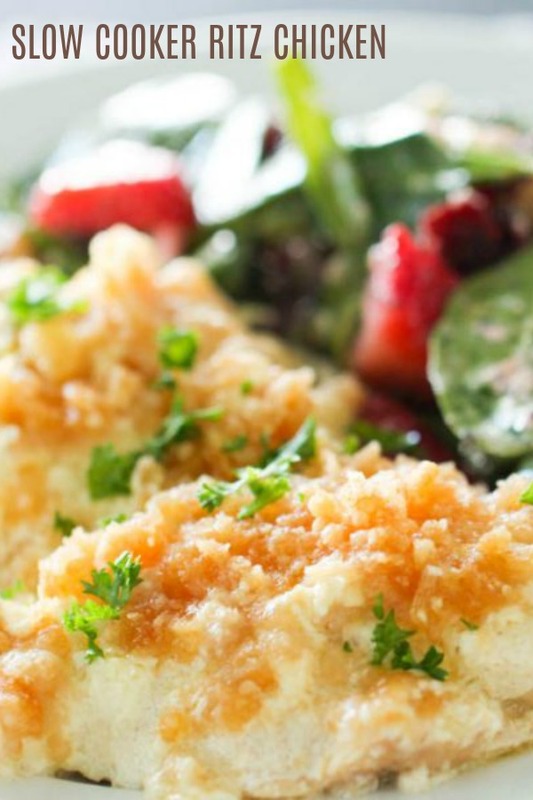 Slow Cooker Ritz Chicken is a family-dinner must. If you are in a time crunch or on a budget, this recipe is for you. It takes less than 5 minutes to throw together and everyone will think you spent hours working on this delicious chicken recipe. 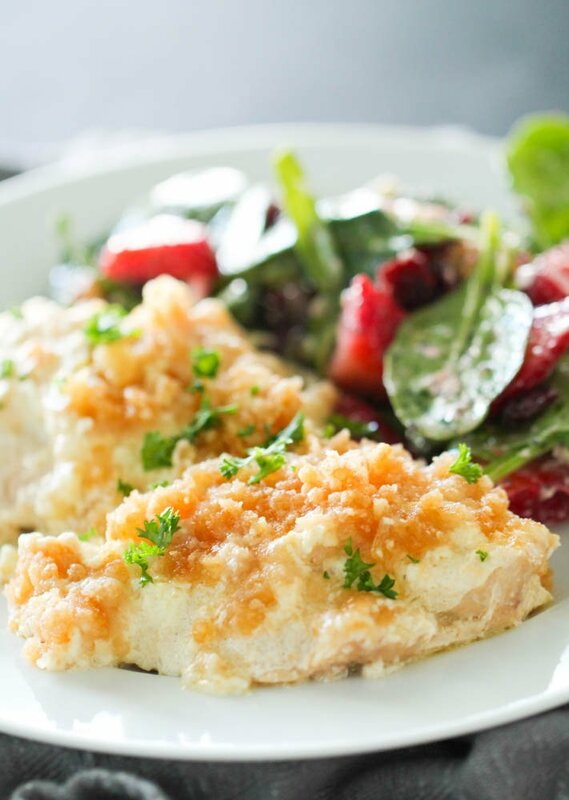 This Slow Cooker Ritz Cracker Chicken is the most popular recipe on our blog. It’s a family favorite our mom made for us. 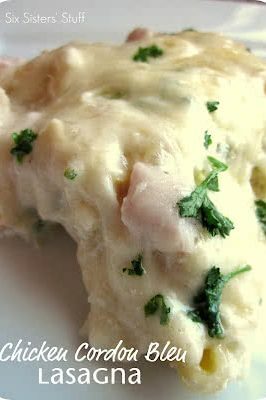 This chicken recipe is so easy to make and is perfect for busy nights, but is still delicious enough to serve when you are entertaining. This recipe is versatile. You can serve the Ritz Cracker Chicken and sauce over rice, baked potatoes, egg noodles or just eat it as is. The possibilities are endless and we know you are going to love it. I love a good buttery topping, especially when I can make it in my slow cooker. 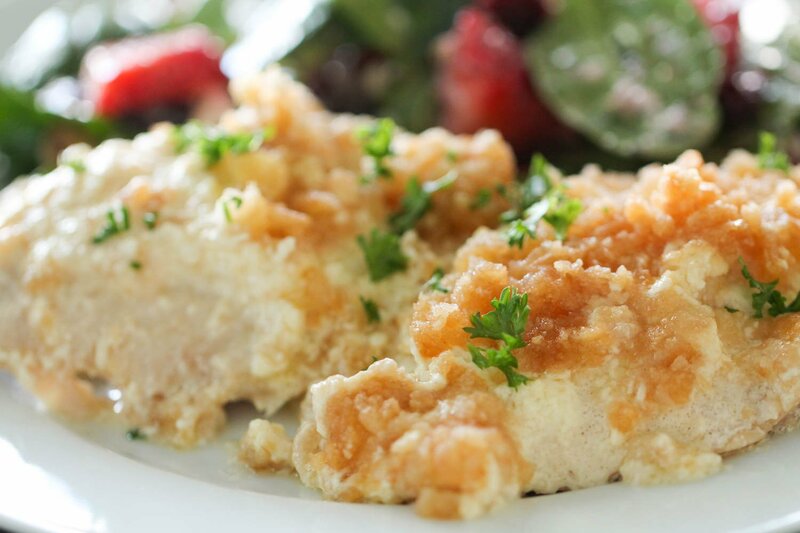 This recipe is as easy as placing some uncooked chicken in your slow cooker, spread a simple sauce over top, and sprinkling on a Ritz cracker crumb mixture and letting your slow cooker do the work for you. How to Make Ritz Chicken without a slow cooker? This chicken recipe is totally doable even without a slow cooker. All you need is an oven and a 9 x 13 inch pan. To make it in a glass baking dish, you prepare it just as you would with your slow cooker. Spray your pan with non-stick cooking spray. Lay your chicken down first, followed by the sauce, and topped with the buttery crackers. Once it is ready to bake, place it into a pre-heated oven at 350 degrees. 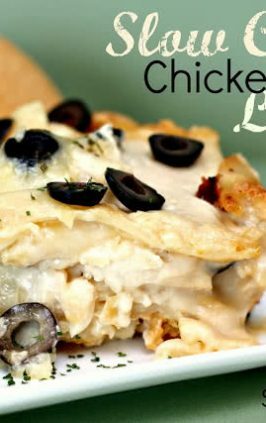 Bake for 35 minutes or until the chicken reaches an internal temperature of 160 degrees F.
We also recommend using a 9 x 13 inch pan to make this recipe when you are in a time crunch and need to make something quick. I put all of these ingredients in my slow cooker in just a few minutes and within a few hours, I have dinner ready to go. What to serve ritz cracker chicken with? This Slow Cooker Ritz Chicken is the perfect comfort food. We love to eat our with mashed potatoes to add that extra home-cooked feel. We love serving this to guests or when family comes over, because it is a dish that everyone loves. You could also serve this over cooked white or brown rice. We love making Honey Roasted Cooked Carrots with this chicken recipe as well. I served Ritz chicken with our Spring Salad with Homemade Lemon Poppyseed Dressing and garnished it with some fresh parsley. 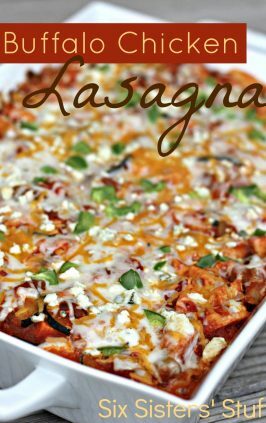 My family devoured it and I loved how easy it was to get dinner made. 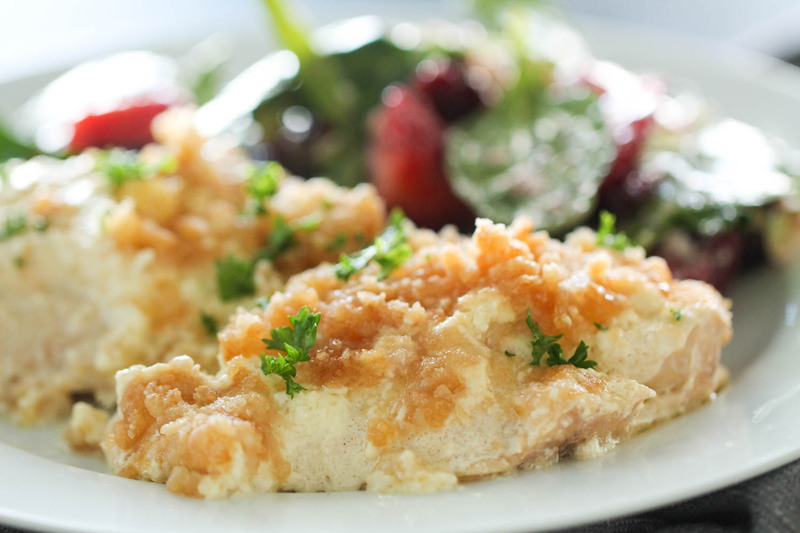 A creamy slow cooker chicken dish with a buttery Ritz cracker coating. Combine the soup and sour cream in a bowl and set aside. In another bowl mix together crackers crumbs and melted butter. Place chicken in slow cooker that has been sprayed lightly with non stick cooking spray. Spoon the soup mixture over the chicken and sprinkle cracker crumbs on top. Cover and cook on low for 6-7 hours or high for 4-5 hours. This looked interesting so I decided to give it a try - what a flop. At the end of the cooking time the Ritz crackers were so mushy due to the moisture from the crock pot that I wound up having to scrap them off. The flavor of the chicken wasn't bad but I did wind up shredding the chicken to soak up all of the sauce. Kids did eat it but did say this wasn't something they would want on a regular basis. I make this same recipe in the oven. I cube the chicken first. My family loves it. I serve mine with buttered egg noodles. Thanks for you comment, I'll look for another 6 Sisters recipe for tonight. I make a casserole using the exact same ingredients, only you cook the chicken and after it cools, shred it. 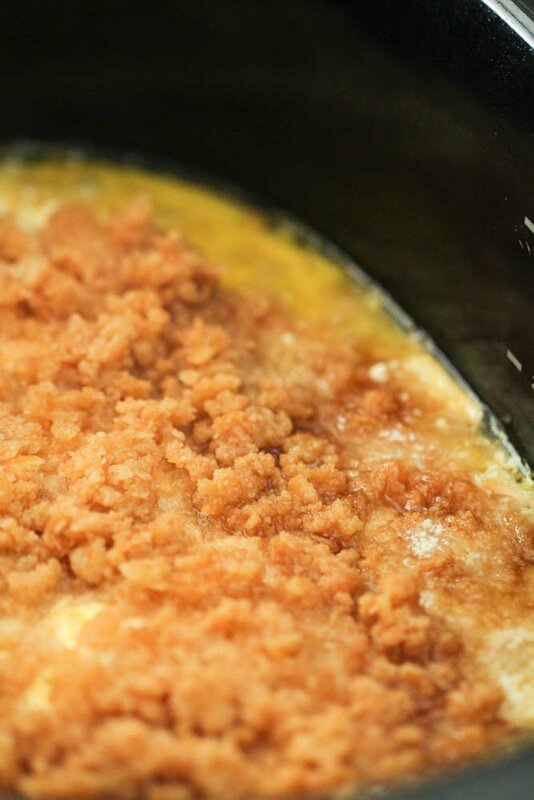 Put the chicken, soup and sour cream in your casserole dish and top with crumbled Ritz crackers. Sometimes I drizzle the top with butter, but not usually. You can also sprinkle poppy seeds on top of the cracker if you like. Put it in a 350-degree oven for 30-45 minutes. I guess at that and when it gets bubbly and starts browning it's ready. Our family and friends all love it this way. Not sure if you did something wrong....but I've made this quite a few times and it was delicious every time. I shredded the chicken after it's done cooking (cause it obviously looks like you're supposed to by the picture) and serve it over some mashed potatoes with broccoli on the side. You could always just add the crackers thirty minutes to an hour before it's done cooking. I make this for Sunday dinner and my family loves it. We always drain the liquid off before we add the Ritz crackers and never have a problem. It turns out great every time. To prevent mushy cracker crumbs, spread a paper towel over the top of the crockpot before putting the lid on. The paper towel will absorb the moisture. Went to make this and then read the first comment. I ended up sticking it in the oven at 350 for a little over an hour. I didn't get the "wetness" the last review did. In fact, overall, it wasn't bad but I think I will add some broccoli and cut down on the butter next time. We've been making Ritz chicken in my family for years. Use the oven! I recommend dredging your chicken in a milk and egg wash and then rolling it in the crumbs. The finer the crumbs the better. After your chicken is coated, generously pour the excess crumbs on top. The breading will always be a bit moist/mushy but the extra layer on top will remain crisp in the oven. I sometimes drizzle butter over top once its done but if you're less southern feel free to skip that step. I am going to try this recipe your way soon! I agree......use the oven. The crockpot version is not good; crackers get soggy as you can imagine. Wish I had read this before I made it. The crockpot was too moist and the crackers didn't stick. I would cut the sour cream in half. Hubby liked it, but me not so much. How disappointing. I have been making Ritzy chicken for years, but in the oven with precooked chicken, and I usually dice up the chicken. Then I only have to bake it about 30 minutes (at about 350, I think). I've also used shreaded/pulled chicken from a whole chicken, both white and dark meat, and it is to die for! When I read this, I wondered about the condensation from the crockpot and how it would turn out. I recently read a tip about crockpots -- with certain recipes, you can put a towel under the lid to absorb most of the condensation. Wonder if that would work with this. Made this tonight and we loved it! I followed the recipe only used the same bowl for the crackers so I used up all the sauce then I added a half packet of ranch dressing seasoning to it then shredded the chicken when it was done and added corn to it. My kids loved it as did I! ?? I agree the crackers became mushy but when I shredded the chicken it just made it more creamy and wasn't bad my oldest son added a little crackers to the top of his when it was done. One thing to begin with: I could not find one example of a 10¾ cup of cream of chicken soup. Plenty of 10 1/2's, 14's, and 12's. So why not tune the recipe to something actually in the market. Pattie called it out correctly. This totally mushed out. Now, I would recommend, shredding the chicken, adding it back into the gravy like mix in the crockpot, then pouring it over fresh hot biscuits for a biscuits and gravy like meal. In the future I will try the oven style, which sounds like it would work better. Thanks for those tips. Just a clarification. The recipe calls for 10-3/4 OUNCE not CUP of the soup. My cans of Campbell's soup are 10-3/4 ounce so a regular-sized can should be right for the recipe. Steve, I hate to be that person, but I just bought a can of cream of chicken and it says exactly 10 3/4. It's Publix brand but Campbell's says the same thing as well. Well, just put mine in the crock pot!!! Guess we'll see if mine is like everyone is reporting!! I can see using the oven as well. Guess I should have used my Ninja instead of the crock, at least it vents steam! 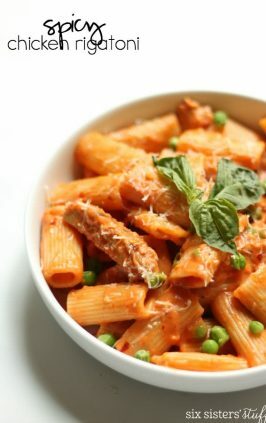 I like the recipe and can see adding ingredients to personalize it more for the family. Thought this recipe is actually good! I did add a few ingredients. In the soup/sour cream mixture I added a package of Hidden Valley Ranch. In the Cracker/Butter mixture I added a tablespoon of minced Garlic. Cooked in Crock Pot on High for 2 hrs and the put on low for 3 hrs. Came out yummy! Made it today but husband said it looked like throw up. Then he tried it and said it was nasty! The Ritz should be added at the end, but I won't make this again. Thank you for this! It looks awesome and I think we can fit it into next week's dinner plans :-) . SOME of you reviewers are down right ridiculous. Taste is subjective. It's possible to leave an honest review of a meal you did not enjoy without appearing as though you have been insulted as a result of trying the recipe. Ok, you didn't like it, I appreciate that feedback so now I know there's a chance I may not like it too, but there is no need to be so rude in your review. Go Becky! So very rude. Sounds like perhaps some of these gals should be looking for new husband's rather than new recipes. I agree with you.!! I love trying new recipes. If it's not quite what I want.... Tweek it.!!!! I made it in the crock figuring the crackers would get mushy. I served it like a piece of chicken over mashed potatoes covered in gravy. Next time I will use less butter and may add some fresh Ritz once it is dished out but as far as flavor everyone loved it. I will definitely be making it again. I'm thinking to add the crackers about 10 minutes before serving. In the hashbrown casserole I make that is,what it says to do and it's perfect. I just wanted to say thank you very much for sharing recipes. Apparently some people that have lots of time to look up recipes or crafts, etc... on Pinterest but spend enough time alone that they forget basic manners. All of a sudden everyone is a food critic but not willing to put themselves out there. Keep up the good work; I for one need all the help I can get. Thanks again! I tried the paper towel thing with this recipe......crackers are still mush. I was going to double the recipe, and ended up buying 1 cream of chicken soup and 1 cream of celery so that what I used. Just mixed the crackers in, it wasn't crunchy but still delicious. Will making again. You could always toast the crackers on the pan and sprinkle on top when serving if you want the crunch. Good grief....I came to this page to leave some feed back for this recipe, as I made it for my husband on Saturday, and I have to start by apologizing to the author....on behalf of all the petty, catty remarks left about this recipe. Im sorry, but I thought adults used pinterest for recipe ideas and feed back. SMDH My husband, who was vegan ALL of his life, until we married, has been trying different meat dishes for a few months now, and I have to say, this was his favorite by far. I am on my way out the door to buy more chicken to make it again tonight! Im a Texan, so the butteriness of the Ritz crackers and creaminess of the chicken gravy it makes, was right up my southern alley. Pour it over mashed taters or biscuits, its awesome! I will throw in some chopped carrot and frozen peas tonight! Thank you so much for sharing! Thanks Jodi!!! So glad you liked it. Have a great week! I had the oven casserole version of this dish on our weekly menu, then realized my husband was working (night shift) and I was on late trauma call for work, so I went on a search for a crock pot version and here I am. I added worcestershire sauce, garlic powder, onion powder, oregano, parsley, and black pepper since otherwise it sounded a bit bland. I was wondering how the Ritz would do in a crock pot all day but tried it as the recipe said. Yes it came out mushy, but we crumbled more ritz on top after we shredded the chicken and served over mashed potatoes. Flavor was spot on! I started thinking on it while my 7 year old and I were discussing keeping the recipe or not and I bet it would be FANTASTIC as a dip recipe! Next time we have company I'm going to make this again, shred the chicken really fine, and serve it as a dip with ritz. It's gonna be so good! Thanks for the recipe! Gotta get creative sometimes. Just tried this tonight. I wish I had read the comments first. The sour cream curdled and looked like cottage cheese, the flavor was bland, and the crackers were mushy on top. The butter just kind of pooled on top and I had to scoop it out. My kid ate it, thankfully, but only because the chicken was so easy to chew. If I attempt something like this in the future, it'll be in the oven, and I won't put the Ritz on until the end. I for one absolutely loved this recipe! And my husband who is very picky loved it to! It has become a staple on our 2 week menu run and I just want to say thank you! Although I am making it in the oven tonight because I just don't want to wait! This chicken is actually really yummy. I baked it in the oven at 350 and used thighs instead of breasts. Also, I put a very light layer of mayo on the chicken thighs before placing the ritz cracker topping and it kept it nice and moist while helping the cracker topping stick. I loved this chicken and so did my husband! I followed the directions for this recipe exactly and it turned out great! I put in in my crockpot on Sunday morning for a family lunch after church and everyone asked for seconds. Even my picky husband and teenage girls. I will definitely be making this again! I made this for dinner tonight and accidentally read the reviews while it was cooking. The sour cream did curdle but the dish tasted fine! The crackers were mushy but once I shredded the chicken and mixed everything around the crackers just added flavor and disappeared in the sauce. I added crackers on top before serving and it tasted really good. If you have had Hawaiian haystacks before, this chicken has a very tasty thick similar flavor! Husband liked it too. I have made this both in the oven and crock pot. It turned out great both ways! My grandson loves it!!!! Sorry, I'm inclined to agree with the majority of people. This would be great in the oven, but I made it in the crockpot and it was very sad mush. Just make it in the oven and it will be nice and crispy! So first of all, thank you for taking the time to share this recipe with us! I read through the comments to see how people liked it and appreciate the feedback, minus the harsh criticism. I made this today with just the sour cream and cream of chicken mixture on low for about 7.5 hours. I then took the chicken out and shredded it then put it back in the soup/sour cream mix. I took my Ritz crackers and butter and but them on a cookie sheet to toast them And give them a crunch which turned out perfect! I chose rice instead of mashed potatoes. It was wonderful! Thanks again. Hi Amanda! We are so glad that you liked it and sounds like the little changes you made worked out great!! Have a great weekend! I was shocked to see so many critical reviews of this meal. I made this today and everyone LOVED IT. I knew that the crackers were not going to hold up for 8 hours of cooking. I didn't expect them to be crunchy when I served it. However, if I had not put the crackers on until later, the chicken would have been bland. It was so good because the Ritz and butter flavors had time to soak into the chicken. Also I would put that gravy mix on anything! Served over potatoes was perfect. Taking this out of the crockpot now and can't wait. Looks lovely. Anyone who expected the crackers to be crispy after being put in a crockpot for hours clearly doesn't understand crockpot cooking, because HELLO MOIST HEAT. You're cooking it in a LIQUID. What happens when they get hot and boil? Steam. Yes. You're welcome for today's elementary school science lesson! I whisked together my sour cream and soup mix before spooning on top of the chicken, then mixed the crackers and butter before doing the same. Crockpot was preheated on high. We're having ours over rice, only because i'm out of potatoes. The only change I did was to add about a tablespoon and a half of Stonewall Kitchen Chicken & Pork seasoning because I basically use it on everything I can get my hands on. ;) Thanks for the recipe! Too bad I can't share a picture with you, it's that pretty! Thank you Heather for your nice comment! So glad you liked the Slow Cooker Ritz Chicken. It is one of our favorite chicken dishes and soooo easy! Have a terrific week! Does the chicken already need to be cooked? The chicken is raw when placed in the slow cooker. I have never left a review for a recipe. But after reading the rude reviews, I thought now was a good time to start! Many ppl came to the defense already, but i wanted to leave my 2 cents as well. I have made this recipe quite a few times since finding it here. It's a favorite in my house. I don't think it says anywhere that the crackers are supposed to be crispy. It all makes a gravy, if you will, and is DELICIOUS!!!!!!! I serve with mashed potatoes. I think I use a little less sour cream, but otherwise make it the same as the recipe says. We all love it!! Thank you so much for sharing recipes!! I am learning as an adult and pinterest is where I get almost ALL my recipe ideas!!! Thanks Melissa. I am glad that your family enjoyed it. It's fun to tweak recipes to your own liking. Have a great week and thanks for your nice comment. I can't wait to try this. You can put your crock in the oven for a few minutes so crisp up a new layer of crackers before cooking if you're looking for a crispy topping. Thank you for a fast and easy recipe. My family really enjoyed this recipe. It was very moist and tasty! The Ritz crackers were mushy, but it made the "gravy" thicker and was similar to a very moist stuffing. I plan on making it again. Right before serving, I plan on putting the chicken in a casserole dish, sprinkling more Ritz on top, and putting it under the broiler. Thank you for the yummy recipe! I ?? Crockpot recipes!!!!! Yikes, not good. Followed the recipe to a t and sadly ended up wasting my ingredients. The sauce curdled, chicken was terribly dry and overall taste was not good. Next time will try oven. It was a bit mushy i agree but i really do like the flavor...I want to try aiding some garlic and a packet of ranch seasoning as another lady suggested.....maybe even add some more crackers for a little crunch before serving but overall my kids actually liked this meal . I give it a thumbs up? I made this tonight. It was yummy, and my husband loved it, so it has to be good because he's a picky eater. I would just use half the sour cream next time and I doubled the cream of chicken soup because I felt the sour cream was too much (so I cooked 6 chicken breasts). I also added garlic powder d pepper to the soup mixture. I cooked on high 4 hours the last 30minutes I mixed in 2 oz of cream cheese as I shredded the chicken in the crock pot ( I felt it needed something, and I had it in the fridge.) I used 2 cups of crackers and 1 stick of butter, spread on a cookie sheet, and baked for 5 minutes on 400°. So the crackers were toasted. Then put on top of the chicken and continued to cook for 30 minutes. That way the Ritz don't get mushy. Thank you so much for sharing this recipe. I'm going to try this tomorrow. Everybody has an opinion and you know what they say about opinions. Wish me luck. I'm reading these comments and I'm thinking to myself how RUDE everyone is. And also, what are you guys doing to make the sour cream become curdled? Are you not mixing it with the cream of chicken before you add it? And of course the crackers aren't going to stay crunchy in a crock pot for eight hours but that's what gives it flavor! To Six Sisters, I appreciate this recipe so much. I followed it exactly how you said and it came out delicious! I've made it a handful of times since I found it on Pintrest and I'm making it for dinner on Sunday. It's a hit with the whole family. Thanks again! I for one loved this. I did add the butter and ritz crackers to the chicken about half an hour before serving. The soggy mash of crackers everyone keeps complaining about actually was my favorite part. Once you cut up the chicken and serve it up the cracker topping gets mixed in with everything anyways and it creates great flavor to the chicken. 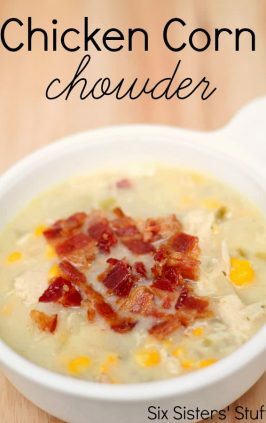 Mixed with the sour cream and soup mix makes it perfect. Now the real taste test will come from my boyfriend who will be helping me eat the leftovers tomorrow night. I will be serving it on mashed potatoes with broccoli at that time as well. Tonight, since it was just me for dinner, I just mixed up the chicken and sauce mix in a bowl with a crescent roll on the side. Perfect ?? How would you double this recipe?? We never make this one in a crock pot because it dries out the chicken too much. Try it in the oven with the crackers on top and the cubed butter over that. 350* for 30-45 min. Depends on if you use tenderloins or breasts and froze or thawed. Tenderloins are obviously more tender and moist. We always have used 1/4 cup poppy seeds with ours and call this poppyseed chicken. Sometimes we do a variation adding a package of Italian dressing mix and call it Italian chicken. Either way, it is a hit every time and everyone always wants the recipe. To me it is the difference between making crockpot Mac and cheese and from scratch stovetop. Chicken just does so much better being cooked in an oven than a crockpot. You can use frozen chicken for this recipe. It may add a little to your cooking time. Just be sure it's cooked through before serving. Thank you for the advice about the frozen chicken. We are trying this tonight and I don't have time to thaw it. Looking forward to this recipe!! I have not tried any if the recipes, but they look really good, and easy to do. I cooked this for the first time tonight and was a little worried when the butter just pooled at the top, so I shredded the chicken and mixed everything together. It had a touch too much liquid and I used 6 breasts so I will probably use less soup, sour cream, and butter next time especially if using 4 breasts. I served on top of mashed potatoes and it was wonderful! Perfect during cold weather! Will definitely be making again. I will say this is one of my favorites to cook for my family because everyone LOVES it, and thats rare in our house. I add the crackers 30 minutes before the end, and we are southerners so I add even more butter than the recipe asks for lol. Hi everyone! I loved the concept of the Ritz cracker chicken and really wanted to make it but by the time I stumbled upon the recipe, there was no time to crock pot it! (lol, I'm all about the crock pot when I can!) I simply took the chicken breasts and sliced them for thinner pieces and breaded them in egg mixture, cheddar cheese and Ritz crumbles. I baked in the oven. I sided them with an gratin and green beans and drizzled that special sauce and it was to die for! We have it on rotation now in our family! I even taught my daughters so for my birthday or Mother's Day they know that is the meal I am expecting. Thanks for the recipe! I even have my picture on Pinterest! 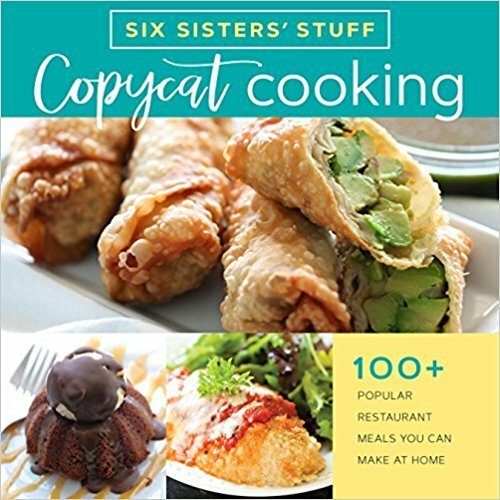 I am always trying Six Sisters' recipes on Pinterest because I know that even though you might have to tweak it a little to your preference or schedule, they always have great ideas and share them with everyone! Thanks again! Hi Lisa. I just wanted to take a minute and say thanks for your sweet comment. I will pass it along to my girls. It means so much to us. We love reading everyone's comments and the little tweaks they make to recipes! But when we get a nice one like this, it makes our whole day! Have a wonderful Easter weekend. I really enjoy this recipe! 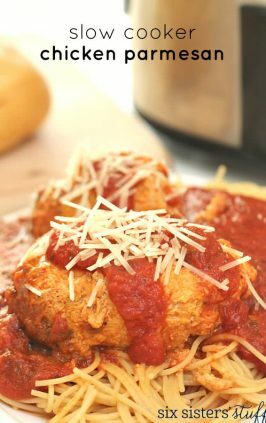 Its probably one of my favorites, it's great in the oven, or in the slow cooker! I've made it time and time again! The only thing I do differently is that I dont add butter to the crackers, and i usually add the crackers in close to the end of the cooking time so they stay crunchy, over all great recipe! ⭐⭐⭐⭐⭐ 5 stars, 10/10 would reccomend! I made this in the crockpot and it was completely fine. I will be making it again. I made this wonderful dish in the crockpot as directed except for the ritz topping. I put the ritz in a frying pan sprayed with a little canola oil & a tsp of butter. (Use more butter if you want) I stirred the crushed crackers around until they started to turn golden brown & mixed in some parsley at the end of toasting up the crackers. I topped off the cooked chicken with this tasty topping. It turned out fantastic and my entire family went for seconds! I will add this recipe to my repertoire Thank you for sharing! Hi Dimitria. Thanks for leaving a comment on our Slow Cooker Ritz Chicken. It's a family favorite chicken recipe! Our kids love it! Planning to make this over the weekend. Any idea if you can substitute plain Greek yogurt for the sour cream? Thanks! So, my husband is allergic to sour cream, mayo, and cream cheese, what can I use in place of these ? Hi Amy. We have really only made the Slow Cooker Ritz Chicken according to our recipe. Maybe you have substituted ingredients in place of these before. You may have to experiment with the ingredients that he is able to eat. Sorry we aren't more help. Do you cover this when cooking in oven?